May the Sun rise in your life - a symbol of self-knowledge, perfect understanding of how I am Atman, the supreme reality, the Atman hidden in the external manifestations of the ego, consciousness, feelings, self-consciousness. Shining sun behind the head of Shiva shows that he lives in complete and permanent understanding of higher reality as him self. "Love, like wisdom, is not to be found. It is not around us, it is within us. If you created a space for love in your heart - it is sure to come"
There is one Supreme God, called by different names: God, Allah, Krishna, Shiva, Odin, Mother, God, Jehovah, Brahman, idea, Higher Mind, Higher Reality, etc. - All names the same. Parameshvara (the Highest Lord) is one and there is no other. Perceive this supreme reality & seek not for anything else. Tantra defines the Absolute as the unity of the Lord and His energy (i.e., Brahman = Shiva+Shakti, Purusha and Prakriti). "The Lord our God is one Supreme Lord: And thou shalt love the Lord your God with all thy heart, and with all thy soul, and with thy entire mind, and with all thy strength, Amen!" - This is the first commandment! So the Kena Upanishad states: "The eye, words or mind do not penetrate there. We do not know, we can not comprehend how he can be described: He is above comprehension and incomprehensible. So we have heard from the ancient sages (rishis) explained to us this truth. " In various scriptures many similar words, glorify the One, the Eternal, devoid of any duality (ekamevadvitiyam) or Nirguna Brahman (Absolute, devoid of all qualities), self-existent, which has no form or qualities of the Supreme Highest Lord. Kularnava Tantra contains the following slokas: "There is the Supreme Absolute - indivisible, good (Shiva), all-pervading. The Creator of the universe, Lord of the whole world, pure and simple, devoid of duality (advaita), shining by his own light (svaprakashah), with no end nor beginning, eternal, limitless, devoid of qualities (Nirguna), full of eternity - knowledge - bliss, whose parts are all living creatures. 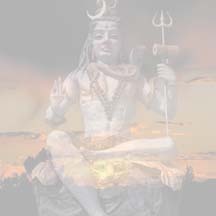 Saivism proclaims: God Siva is Love, both immanent and transcendent, both the creator and the creation. This world is the arena of our evolution, which leads by stages to moksha, liberation from birth and death. Aum. In our temple of Universal Love, you can find tantric rituals, runic and white magic, mantras, books about various aspects of philosophy, religion, yoga, Vedanta, and the esoteric teachings of ancient medicine, translations of ancient texts, and much more. We hope that these materials will help both neophytes and those who have long been moving towards self-realization. I take refuge in Thee. Thou art the Supreme Brahman. Russian Arunachaleshvara Mandir is located in the 1.5 hour drive from Moscow, metro Kurtizanskaya. This is a wonderful power place , where you can get Mahadeva's darshan in the form of fire. It hosts ritual worship of Shiva and Shakti in the tradition of Siddhars. Fire is a manifestation of cosmic energy (Shakti) on Earth. Shakti is the power of the Lord, or cosmic energy. Shakti is the energy aspect of Ishvara or God. Shakti is contained in the Lord. Just as you can not separate the heat from the fire, so you can not separate the Shakti from God, the owner of Shakti. During the havan special offerings (ghee, rice, flowers, fruits ...) are offered to fire with the ancient mantras, and material energy is transformed into refined spiritual one. Fire ceremony harmonizes space, balances the atmosphere and biomagnetic fields. Worshipping Fire, we learn to concentrate on the Divine in the form of Light. Yajna, yagya (Skt. yajna) - Hindu Sacrifice Rite , which took its origin in the religious practices of Vedic religion. Yajna is usually committed to meet the Devas or the execution of certain wishes (Kamya rituals). The most important element yajnas is the sacrificial fire (the divine Agni), which offered various offerings, which, like all the proposed Agni, go to the Devas. "Om. Let us meditate on the great God of fire in the form of blazing flames. May that radiant Agni Deva inspire and illumine our mind and understanding"
I call upon Agni, chief Deity, the god of the offerings and the chief priest, bearing the greatest treasures. May Anugraha-Shakti (Power of Love, Mercy and the saving revelations of the Lord Shiva), Ganesh blessings, Mother Shakti, Skanda-Babaji and the Siddhas be shed on you! What Is the Nature of the Siva Temple ? The Siva temple is the abode of God Siva and Gods and the precinct in which the three worlds consciously commune. It is specially sanctified, possessing a ray of spiritual energy connecting it to the celestial worlds. Aum. The three pillars of Saivism are the temples, the scriptures and the satgurus. These we revere, for they sustain and preserve the ancient wisdom. Siva temples, whether they are small village sanctuaries or towering citadels, are esteemed as God's home and consecrated abode. In the Siva temple we draw close to God Siva and find a refuge from the world. His grace, permeating everywhere, is most easily known within the precincts of the Siva temple. It is in the purified milieu of the temple that the three worlds commune most perfectly, that devotees can establish harmony with inner-plane spiritual beings. When the spiritual energy, Shakti, invoked by the puja permeates the sanctum sanctorum and floods out to the world, Saivites know they are in a most holy place where God and the Gods commune with them. Within most Siva temples are private rooms, sanctums, for Lord Ganesh and Lord Karttikeya, and shrines for the many Gods and saints. The Vedas explain, "Even as the radiance of the sun enlightens all regions, above, below, and slantwise, so that only God, glorious and worthy of worship, rules over all His creation." Aum Namah Sivaya. How Are Temples Founded and Built? Siva temples are founded by God Himself, often designated in a vision or dream of a devout Saivite, and then erected by temple craftsmen usually following Agamic law. In such a holy place, holiness itself can reside. Aum. Because of its holiness, a Siva temple is most often and properly established by God Siva through His devotees and not founded by men. Once the site is known, hereditary temple architects, known as sthapatis, are commissioned to design and construct the temple. By tradition, every stone is set in place according to the sacred architecture found in the Agamic scriptures. When properly consecrated, the temple becomes a place upon the Earth in which the three worlds can communicate for the upliftment of mankind and the fulfillment of Siva's dharmic law. Siva has deliberately established many temples to communicate His love to His children throughout the world, who live in every country of the world and long for their Lord's ever-present love. They build temples in His name and install His image, chant His praises and thus invoke His presence. Lord Siva accepts all these temples as His own and sends a divine ray to vivify and vitalize them. 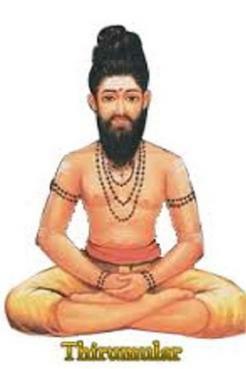 Siva's Vedas annunciate, "Brahman is the priest, Brahman the sacrifice; by Brahman the posts are erected. From Brahman the officiating priest was born; in Brahman is concealed the oblation." Aum Namah Sivaya. When Should One Attend the Temple ? We attend the temple to commune with God Siva, Karttikeya or Ganesha at least once each week and additionally on auspicious days of the month, yearly festival days and on the holiest day of the year, Mahashivaratri. Aum. At the heart of every Hindu temple is a cave-like sanctum sanctorum within which God abides, as He abides in the cranial cave of every soul. A devotee approaches a Sivalinga, hands outstretched imploringly as he seeks Siva's blessings during puja. Saivites consider it most important to live near a Siva temple, and we build one wherever we find ourselves in the world. This is a most meritorious act, earning blessings in this life and the next. Religious life centers around the temple. It is here, in God's home, that we nurture our relationship with the Divine. Not wanting to stay away too long, we visit the temple weekly, though women never go during their monthly period. We strive to attend each major festival, when the Shakti of the Deity is most powerful, and pilgrimage to a far-off temple annually. Devout Siva bhaktas attend daily puja in the temple. All Saivites visit the temple on Siva's most sacred day of the year, Mahashivaratri. Saivite temples are the most ancient of all. Being the homes of the Gods and God, they are approached with great reverence and humility. Draw near the temple as you would approach a king, a governor, a president of a great realm, anticipating with a little trepidation your audience with him. The Vedas say, "May the Lord find pleasure in our song of praise! Priest among men, may he offer due homage to the heavenly beings! Great, O Lord, is your renown." Aum Namah Sivaya. You who are worthy of men's prayers, our leader, our God, rich in heroes -- may we install you glowing and glistening! Shine forth at night and at morn! Your favor has kindled our hearths! By your favor we shall be great! Of lords the Lord Supreme, of kings the King, of Gods the God, Him let us worship -- transcendent, Lord of all worlds and wholly worthy of worship. A man comes to Thee in fearful wonder and says: "Thou art God who never was born. Let thy face, Rudra, shine upon me, and let thy love be my eternal protection." For the purpose of protection of all, a Linga is variously caused to be built in villages by Gods, by seers and by ordinary men. Cutting all the stones to be cut, carving all the stones to be carved, boring all the stones to be bored, such are the three aspects of the shilpi's art. The architect and the sutragrahin build the temples and craft the images, but it is with the takshaka that the architect effects the opening of the eyes of these images, and similar rites. Having worshiped Nandi in the Southeast -- two-eyed, two-armed, black in color, having the formidable three-pointed trident of Siva, with a crest and twisted locks of hair -- in the Southwest, he should especially worship Mahakala, black in color, two-eyed, two-armed, with white garment, two-legged, having an awesome form, equipped with a noose and a tusk, and endowed with all ornaments. He should repeat the Siva mantra according to his ability, and (there should be) circumambulation, obeisance and surrender of the self. I bow before that Sadashivalinga which is worshiped by the multitude of Gods with genuine thoughts, full of faith and devotion, and whose splendor is like that of a million suns. The Pati is the blessed Sivalinga. The pashu is the mighty bull standing in front. The pasha is the altar. Thus, in the temple, the Lord stands for those who, searching, see. When in Siva's temple worship ceases, harm befalls the ruler, scanty are the rains, theft and robbery abound in the land. Thus did my holy Nandinatha declare. The unholy town where no temple stands, the town where men do not wear the holy ash, the town which does not resound with sacred song, the town which is not resplendent with many shrines, the town where the white conch is not reverently blown, the town where festive canopies and white flags are not seen, the town where devotees do not gather flowers for the worship rite, that town is no town. It is a mere wilderness. He approached and entered the temple where the Lord who has the golden mountain for His bow dwells in delight. He circumambulated it, prostrated himself at the sacred courtyard, entered the presence of the three-eyed God, the bull-rider crowned with matted, red hair. Gather flowers and carry water pure; bathe Him and lay the flowers at His radiant Feet; stand and pray and adore Him in unfailing piety. Forever prosperous you shall be. Subdue the senses, hasten towards Him; surrender in totality and worship the Lord daily, offering water and flowers. He will surely accept your heart's offering. For the bounteous Lord, this heart is the sanctum holy, the fleshy body is temple vast, the mouth is the tower gate. To them that discern, jiva is Sivalinga; the deceptive senses are but lights that illume. I saw the Feet of the Lord, my heart-core's love within. May He render me His Love in foremost measure! Only those, who in Love reside, find in Him the Refuge free. The Russian Arunachaleshvara Mandir in 1.5 hour drive from Moscow, performs the ancient fire rituals - yajnas to implement specific desires, acquire divine protection, support in work and business, wealth, prosperity, find a good family and children, improve health and eliminate enemies and obstacles. A fire offering to Lord is the ancient Vedic tradition. Fire is a manifestation of cosmic energy (Shakti) on Earth. During the Havan, or Yajna fire are special offerings (ghee, rice, flowers, fruits ...) with the repetition of special mantras, and dense material energy is transformed into a refined spiritual. Fire ceremony harmonize space, lead to the balance of the atmosphere and electromagnetic fields. Worshipping the fire, we learn to concentrate on the divine in the form of Light. At Shakti dhuni we serve the fire as a form of Divine Mother, Shakti. Thus, the fire represents the Divine, and dhuni - the temple. This is the main Shiva jyotir lingam (lingam of light) in Russia , similar to the temple in Arunachaleshvara Tiruvannamalai , India . Pilgrimage to the Russian Arunachaleshvara Mandir can initiate positive changes deep in your soul and karma. To Sincere sadhakas Shiva lingam manifests as fire of knowledge and wisdom. To visit Shiva temple in Moscow pls go to our community Shiva Yoga Siddha Russi Sangam and write a petition. 2) attach your photos, links to blogs, websites, etc. 4) visit our community Siddha Shiva Yoga Russi Sangam, itis the fastest way to contact us. If you get a permission to come, you will be given all necessary information. Туристические газеты, журналы, сайты по материалам stranniktravelmagazine.com. . Найти няню в киеве по материалам сайта.